Hollywoodposterframes.com is a wholesale picture framer that caters to consumers who wish to display their posters, prints and artwork in a quality frame at low cost. Our company is able to be wholesale direct by purchasing huge volumes of material each month, assembling in our warehouse and then passing the savings onto our customers. We offer 100% satisfaction guaranteed. While custom picture framing for the sets of some of your favorite films and television shows, HollywoodPosterFrames.com offers wholesale frames in most any size to accommodate the framing needs of not only the individual consumer but hotels, department stores and other businesses that require quantity framing. Our company does specialize in archival movie poster framing as Hollywoodposterframes.com is owned and operated by two movie poster collectors who have framed for hundreds of fellow collectors over the past twenty years which have continually recommended friends and family to us. We offer a variety of sizes and styles of frames that are custom cut to your size specifications. The Motion Picture Academy, the Television Academy, the Motion Picture Producers Guild and many more studio affiliates have our company supply the quality custom movie poster frames needed for the valuable movie memorabilia they display. 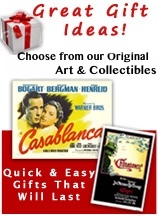 Whether you may be framing a collectible movie poster, photograph, theatre card, watercolor or inexpensive poster we have a frame to fit your needs and you are certain to find it of quality at a significant savings to you. We Stand Behind Our Products and Workmanship!